This Lot Has Been Viewed 1444 Times. 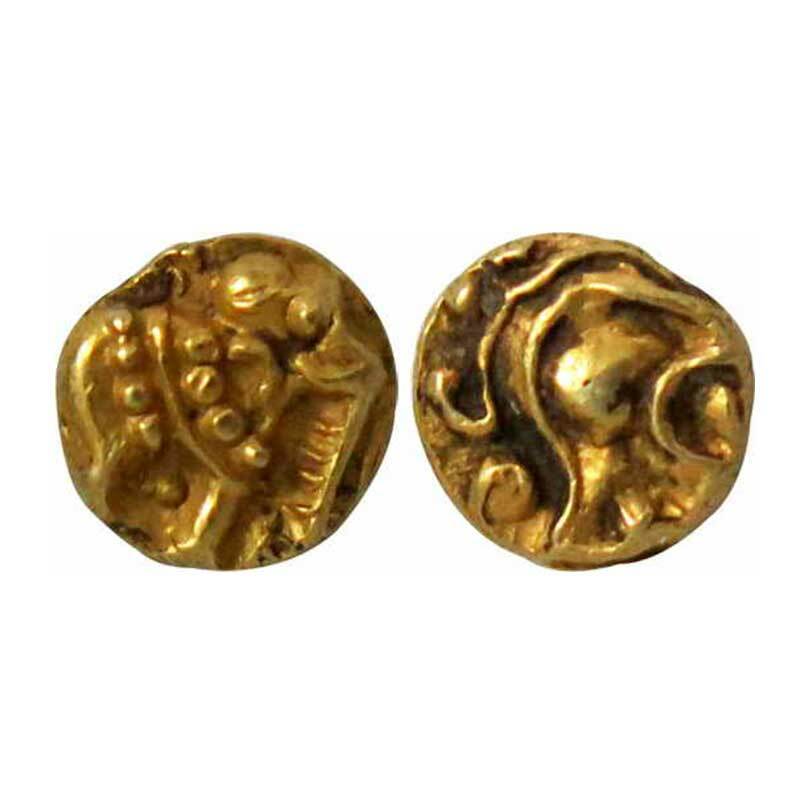 Western Gangas, 11th century, Gold, 0.39 g, Elephant Fanam (Gajapati Fanam), an ornate elephant to right on obv, a scroll on rev. Extremely Fine, Rare.